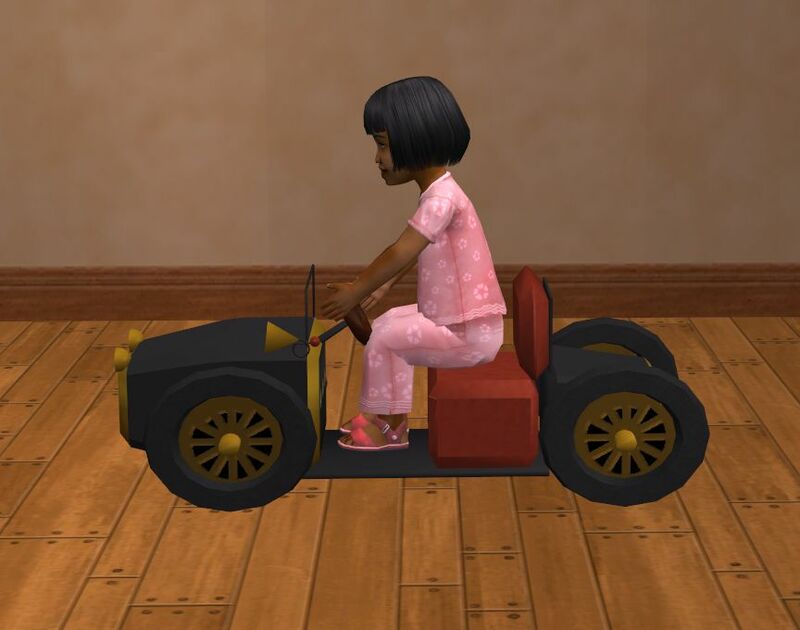 This is an all new toy for your toddlers to play with! There's both Free time and Base Game versions available. First of all, a year or so ago, I found an old upload of Solfal's at TSR. 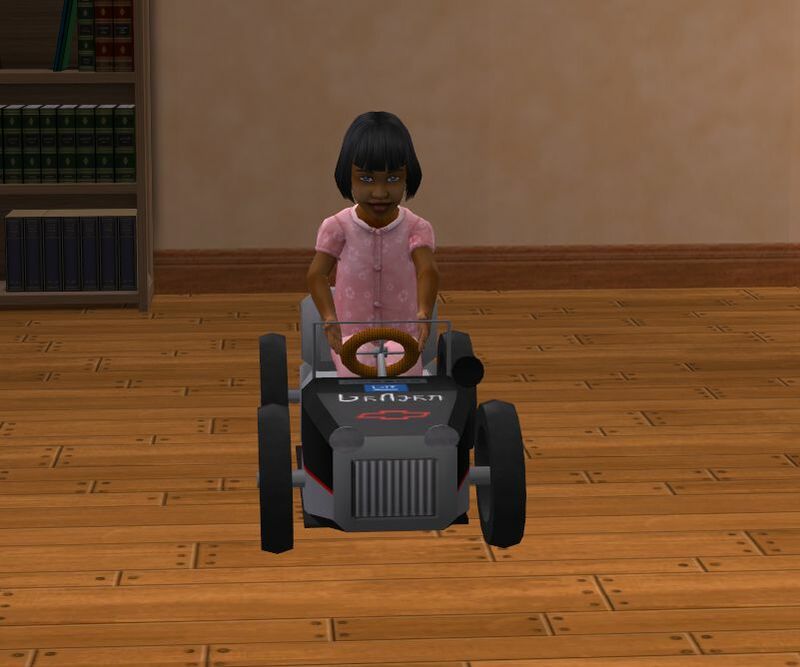 She had uploaded a toddler car. 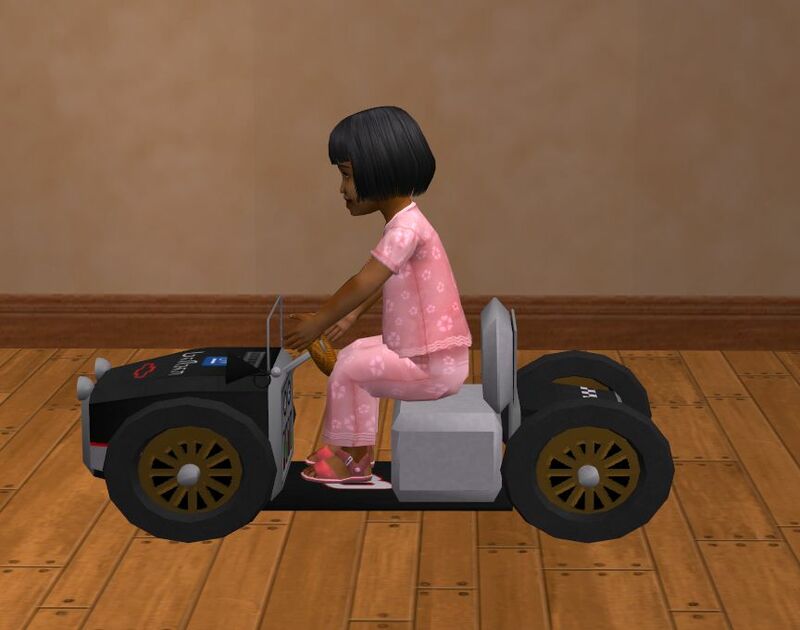 And surprisingly enough, it used chair animations so no npc necessary. 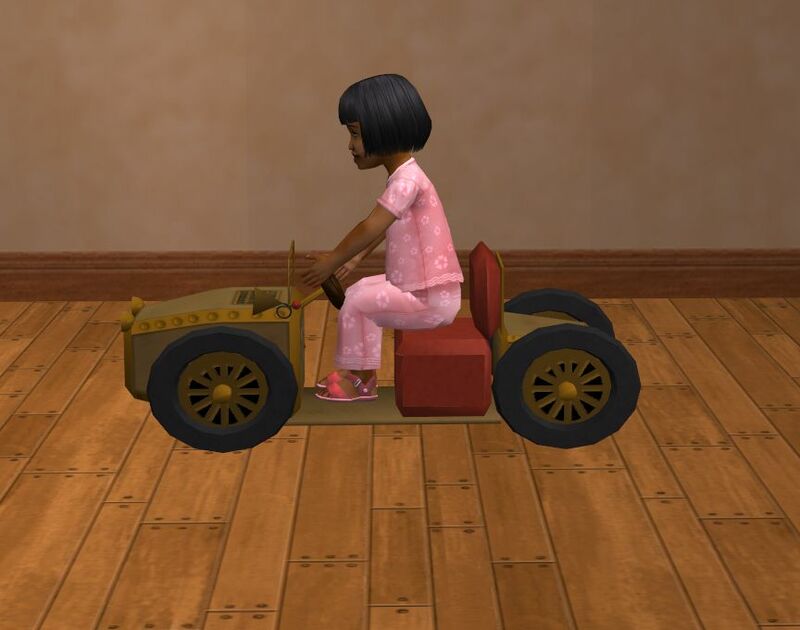 I resolved then to eventually make a toddler car. 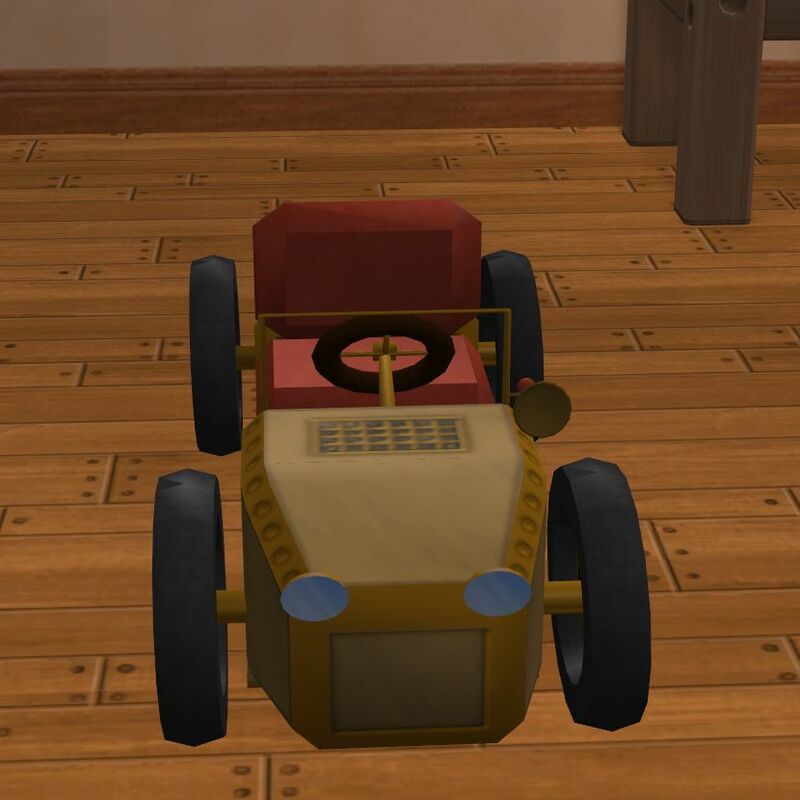 Then Jones is a big lover of steampunk, so the idea of a toddler steampunk car was born. 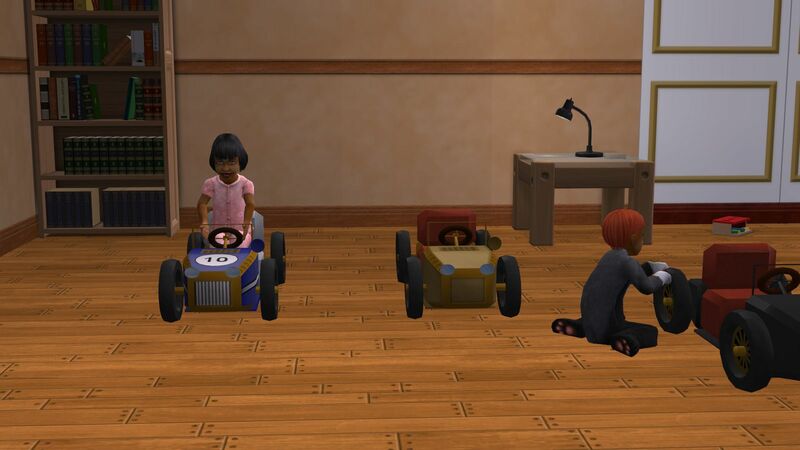 So I cloned the car, which happened to be base game, and then proceeded to change it all up. It now has a version with freetime enthusiasm, and all new animations, plus an all new interaction as well. 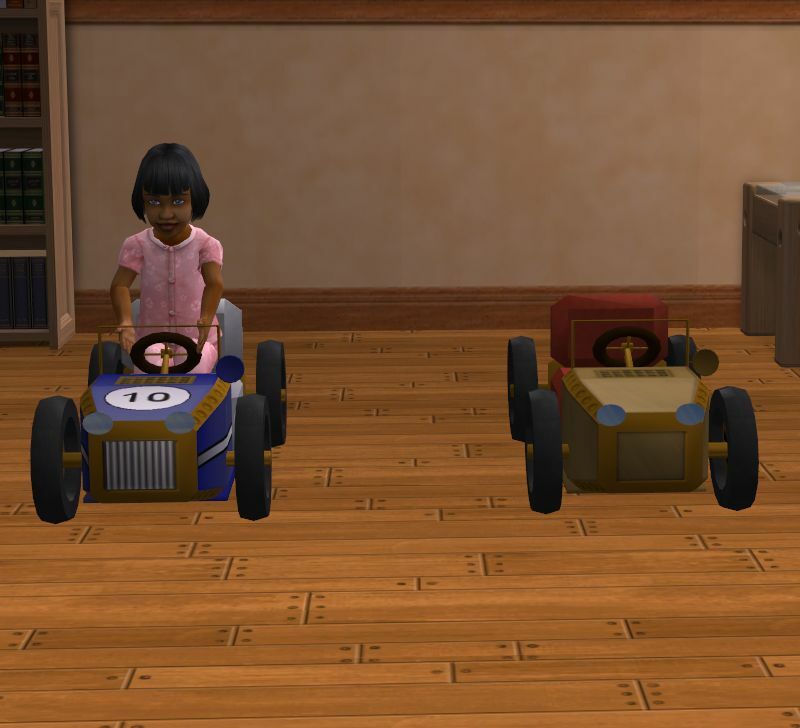 The toddlers can now tinker on their cars, as well as drive them. And still has no npc! 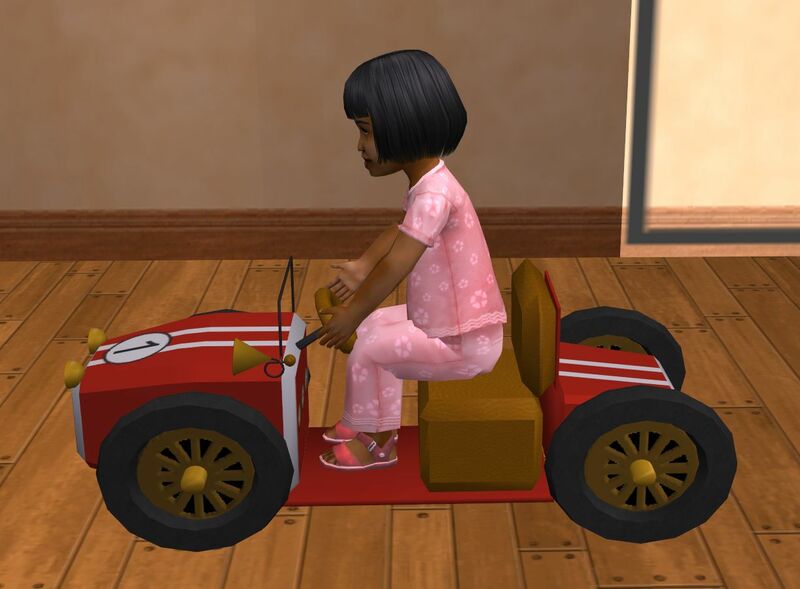 This is a toddler only toy. 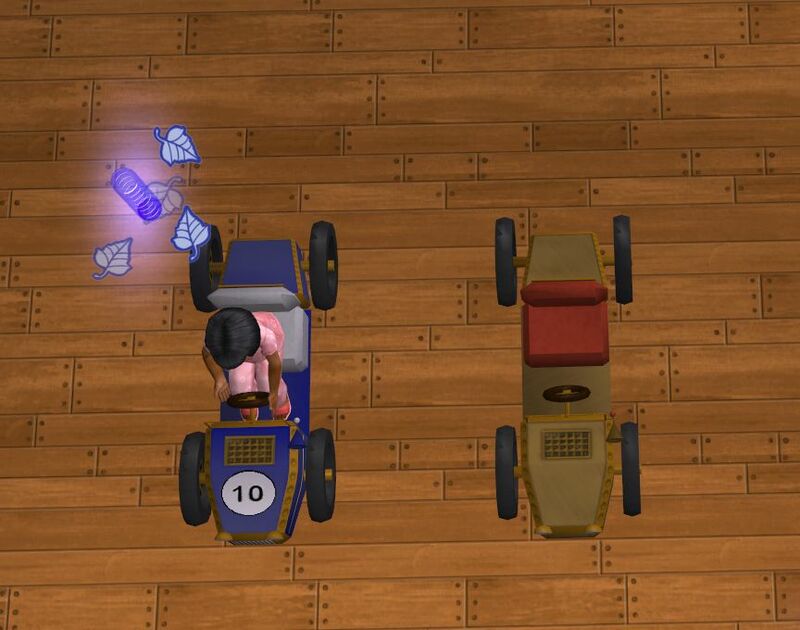 The toddlers learn mechanical skill, and if you choose the Free Time version, they get tinkering enthusiasm. Because it uses the chair movements it basically just goes back and forth. They do however, also toot their horn periodically. Also, to clarify, each zip contains everything needed, except for the bonus recolor which has its own zip. It is found in general/child for 150. There are several things included in each version's folder. 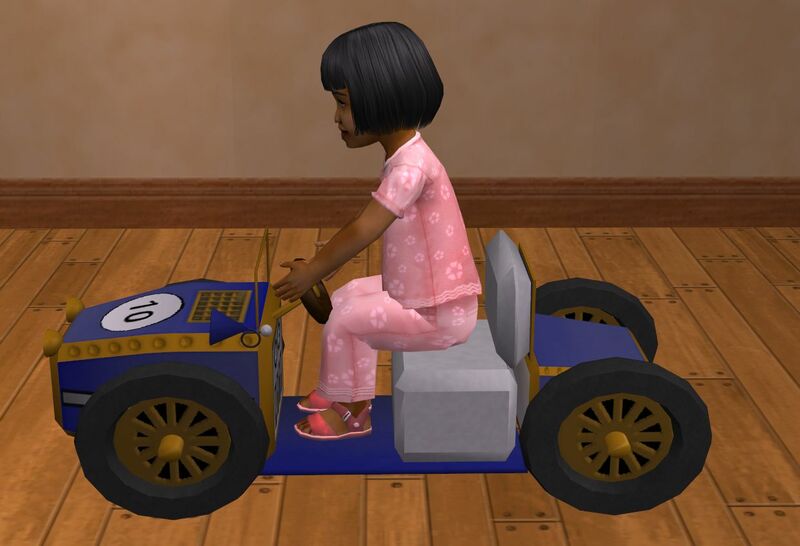 The car, the wrench, and the car ahooga horn sound are all necessary. 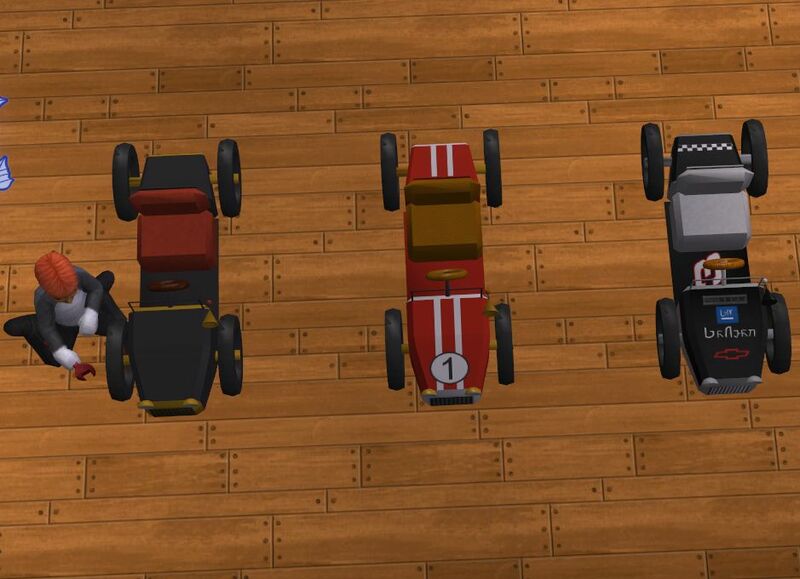 The recolors that are outside of the car packages are not. If they are inside the package with the car, however they need to stay that way. The base game version will work in all versions of the game. It worked in Base, Seasons, Freetime, and All ep's upon testing. The Free time version requires Free Time of course. It was tested in a Free Time game and works fine. All versions share the same guids however, so you can only have one in your game. Picture of the car as pictured in thumbnail.